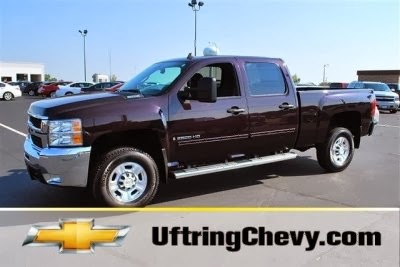 Uftring Auto Blog: Over 160 pre-owned vehicles at Uftring Chevy! Over 160 pre-owned vehicles at Uftring Chevy! Right now at Uftring Chevrolet in Washington, we have over 160 pre-owned vehicles priced to save you money! In fact, we're so confident about the quality of our used cars and trucks at Uftring Chevrolet and Uftring's Used Car Outlet and we'll give you three days to return it for another one! But hurry, this offer is only good through January 31, 2014. See store for specific details. Choose from our selection of clean, quality pre-owned vehicles that have a 127 point inspection, vehicle history report, two sets of keys and the lowest prices in central Illinois. We even encourage you to take it to your mechanic so you're completely confident in your purchase. It's a great time to save money on a pre-owned car or truck at Uftring Chevy – so stop in today. Zero Plus Plus at Uftring Pekin!